for mandatory registration is now public! and mandatory registration will start on June 1, 2015.
identification and insurance requirements for road crossings among others. Plates are still an issue for dirt bikers and snowmobilers, and all MLA need to be made well aware of it. nothing but soft "we think we are doing this" discussions to go on. was to show them how we are are safe and sustainable. tubes, this is better than a rear mounted plate.  No required lighting except under adverse or after-hours light conditions.  Youth riding age for Crown Lands at six years old, not sixteen as proposed by other groups. insurance and a driver's license. Taxes have always legally been due on used and private sales, and the Government considers that nonnegotiable. taxes were due on the value at the time of the transaction period. represent a large block of votes. signage, and bridges. That's trails for your kid's kids to ride on. our dedicated Directors and myself. 250 387-1118 or by email at Joel.Fairbairn@gov.bc.ca. Hello all, The jist of this seems to be not to register our bikes until the province realizes that license plates will not work for us as they are an injury hazard particularly for trials and kid bikes, remember this is a 5 x 7 inch plate with sharp metal edges that is apparently to be displayed on the rear of the machine . As the BCORMA letter states , write or email your MLA and or contact the ministry people identified in the above press release and let them know that plates won't work, and like almost all jurisdictions we should have fork tube decals. 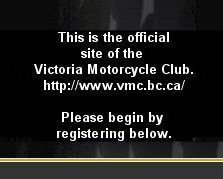 Try this link for some info on the Provincial Tax implications for those that own motocycles and have no proper documentation. This document contains links to further reading if your not already frustrated enough. I recently asked the Provincial Tax Man the following question and have included there answer here FYI. Hello, I have a hypothetical question on the PST implications on ORV's, The answer I require is timely as Provincial legislation( ORV licensing and registration) becomes mandatory June1-2015. 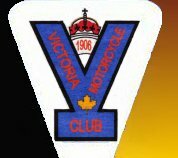 I am asking this question on behalf of my local motorcycle club, and need to provide information at an upcoming meeting. Thanks for your prompt reply. I purchased a used 2008 GasGas 280 Raga Pro( Trials motorcycle) July -2013 from an acquaintance with a hand shake for 3500$, the transaction involved no paper receipt and the bike has never been registered ( typical scenario across the province), Later I decide to gift the bike to my immediate relative January- 2015 and will provide a hand written receipt( standard contract law format) showing the change of ownership and fair market value at the time of transaction to be 1000$ ( the bike has been used hard in competition in the meantime, seriously depreciating it ). Now the relative has to comply with legislation to pay PST and license and register the ORV. Will self assessement satisfy the requirements of the tax authourity for ownership and fair market value of this ORV?What are the other tax/ownership implications in this case for the individuals involved? We (tax Man) can provide information to both of your questions. If you have further follow-up questions, please let us know. What is not clear is whether there would be any implications for the donor of the non taxed gift? I take it that the Province only wants to collect tax on the value of the final transaction, and that there is no liability to the donor? Also the question of proof of ownership does not seem to enter into the matter in the example provided. Does that mean its not the tax dept's concern and its simply the tax on transaction that matters and proof of ownership will need to be proved to ICBC upon registration? 1) What is not clear is whether there would be any implications for the donor of the non taxed gift? I take it that the Province only wants to collect tax on the value of the final transaction, and that there is no liability to the donor? There will be no implications for the donor in this scenario. Only the person registering the ORV is required to pay the PST on the transaction. 2) Does that mean its not the tax dept's concern and its simply the tax on transaction that matters and proof of ownership will need to be proved to ICBC upon registration? Yes, the Insurance Corporation of British Columbia will only collect PST from the person registering the ORV. If the person registering the ORV has an invoice or gift letter from the previous owner, please provide this with your registration for proof of ownership purposes. In absence of an invoice or letter, ICBC may request that the person registering the vehicle sign a Statutory Declaration confirming that the person registering the ORV is the legal owner of the ORV.